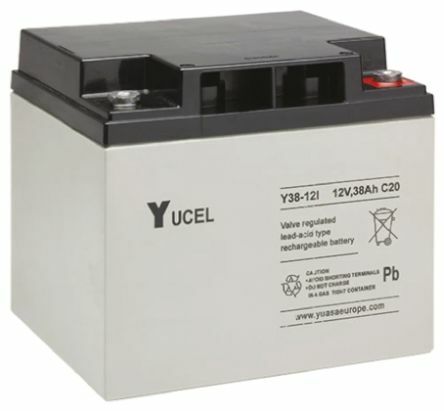 The YUCEL series offers a range of lead-acid batteries that are sealed, maintenance free and rechargeable with a faston tabbed connection. This economical series is aimed at floating applications and is ideal for alarm systems, emergency lighting and other stand-by applications. They work in all orientations (except charging upside down).They are lighter than the NP series, but have the same service life, offering unbeatable quality for their price. The standard series are UL94HB and have an ABS case, while the FR series are UL94V0 and flame retardant.